On its face, bowling is a relatively simple game to play. It consists essentially of three key components: lining up, the speed with which you want to roll the ball, and the spin you want to impart on the ball. The complexity comes in when you try to align all three of those components to score your best. 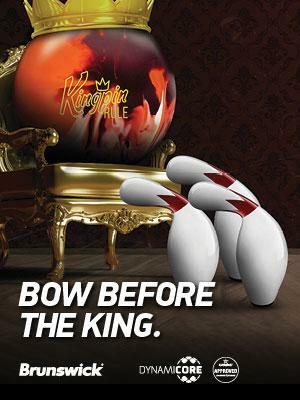 The first key, lining up, is what every bowler does from the beginning player all the way to the elite player. You need to consider the basics of lining up — where are you going to stand, what is the direction you want the ball to travel, and from what angle on the lane? Lining up correctly gives you the most margin for error, whether shooting spares or playing the correct angle for your strike ball. To make most single-pin spares you have the width of two bowling balls and the pin, not counting the 7 and 10. This margin for error equals about half the width of the lane. There are many different ways to line up, but we all need a reliable system to get the ball to travel in the right direction. It’s critically important to know where you have to stand and look to play angles everywhere from straight up the gutter all the way to lofting the gutter (for right handers) to be a highly skilled player. 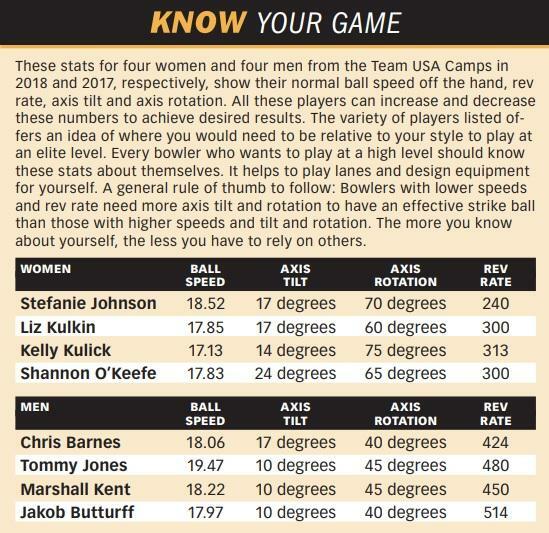 Knowledge is Power: The highest rev rate observed at the 2017 men’s Team USA Camp was that of Jakob Butturff (514), which he combined with a ball speed of 17.97 mph, an axis tilt of 10 degrees and an axis rotation of 40 degrees. Every bowler wanting to compete at a high level should know these stats about themselves. It helps greatly with lane-play and equipment decisions. With the vast amount of angles we have to play and how quickly those angles change, a bowler needs to develop a reliable system. I see too many people over-angle their feet, hips and shoulders to play different parts of the lane, which many times gets their swing and walk direction out of whack. For recreational league bowlers, it’s fine to use the dots on the approach and the arrows because, on house shots, the lane is played more side-to-side than on tougher shots. On “sport” shots, however, we need to play the lane front-to-back because the flatter pattern reduces the amount of miss room left and right of your target. On the tougher patterns it’s best to line up to a spot down-lane and draw an imaginary line back to a closer target, even all the way to the foul line for some. One method I practice with my students is to have them use the reflection of the pins as their down-lane focal point, then draw their eyes back to the arrows and from there as close to the foul line as they want. This works well because the refection of the pins follows you as you move across the lane. For right-handers, if you stand all the way right on the approach, line up with the first board on the lane and look at the reflection of the 10-pin, the head of the pin will be reflected on the first couple of boards of the lane. If you move all the way left against the ball return, the head of the 10-pin will be around the 8 board. By looking at the pin reflection, your eyes will naturally line up your body to that line without you having to exaggerate your feet and body alignment. Team USA head coach Rod Ross explained to me that a one-degree angle difference in your laydown point at the foul line is 7 boards at the pins. I see bowlers opening and closing their feet as much as 40 degrees. The pin-reflection method down-lane is easier to see than picking out a board, unless you are bowling on lanes with the down-lane markers. Regardless of the method you use, take time to hone a system that allows you to line up your body to get the ball to travel the direction you want it to go, without drastic body alignment changes. The second key is ball speed. Speed control is a very important part of rolling a ball; as shots get tougher, consistency of ball speed becomes more important. On house shots where you can miss outside your target, the friction slows the ball down so the ball doesn’t slide too far and recovers back to the pocket. Missing inside in the oil keeps the speed up so the ball doesn’t go high. On sport patterns, those corrections don’t happen. You are playing the lane front-to-back, so if you increased your ball speed you can miss the headpin, and if you slow it down it can cross over. As little as 2 mph can make a big difference on sport patterns, while on house patterns your speed can vary 3 mph and have no effect on the ball hitting the pocket. Working hard on speed control will help you develop a more consistent tempo to the line. Once you have that consistency you can work on increasing and decreasing your speed. But regardless of the speed and angle you employ for a given condition, work on your consistency until transition demands an adjustment. The third key is the spin you apply to the ball with your release. Spin is the combination of rev rate, axis tilt and axis rotation, which provides you with your hook potential. You first need to match up your rotation to the angle you have to play the lane. Basically, the farther out you play toward the gutter and the straighter you have to play the lane, the less revs, axis tilt and rotation you will need. 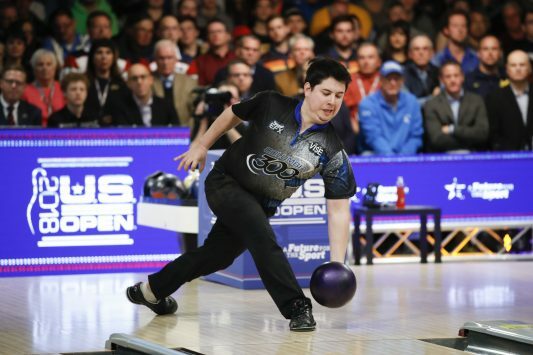 As the shot moves in, you need to create more axis rotation to get the ball to finish in the backend because you are rolling the ball away from the headpin and you need it to change direction more to come back to the pocket. Now that you have the three key things you need to do to play the lanes, you have to be able to mix and match them to achieve what today today is called “matching up.” That is where the complexity, and, if you are up to the challenge, the fun begins. 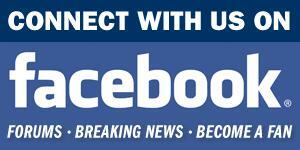 Should the PBA Adopt the PGA's Charity-Focused Business Model?